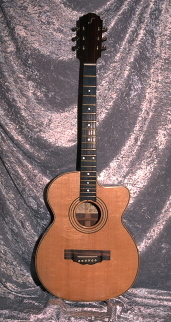 The S-45 is my first original guitar design and has proven to be one terrific small-body guitar! Lots of punch and volume, simply fantastic in an intimate venue with or without amplification. My very first S-45 is owned by my daughter Sarah.